Is there anything more peaceful than a quiet, serene day of fishing on the lake? 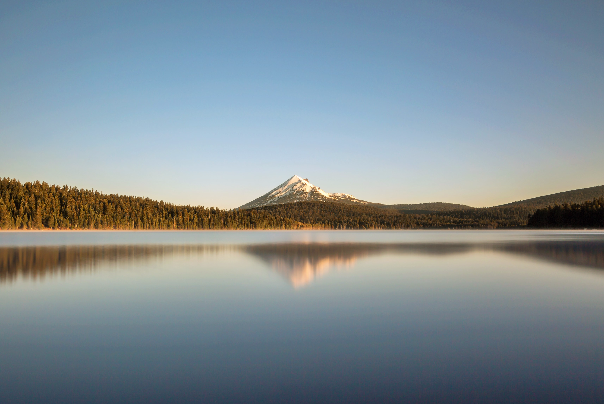 Whether you want a relaxing morning of fishing alone, a family fishing outing or a guided fishing trip with friends, Southern Oregon’s lakes and rivers are a must-see. 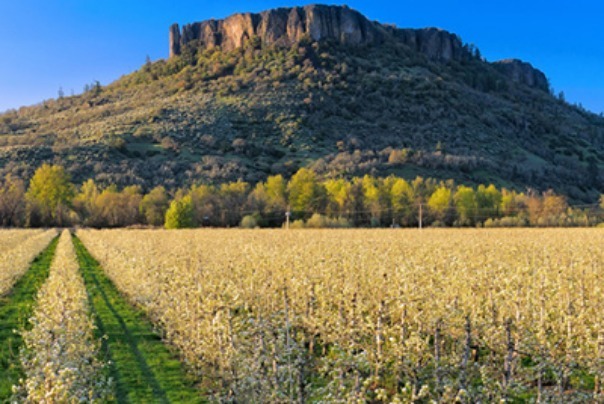 A Southern Oregon fishing vacation is the ultimate way to unwind and escape the daily grind of spreadsheets, phone calls and chaotic commutes. You can leave all that behind and immerse yourself in the natural beauty of the lakes and rivers. Crystal clear water, sapphire blue skies and lakes filled with fish; you couldn’t ask for a more tranquil setting for fishing in Oregon. It’s easy to imagine sitting back in your boat as the gently rolling waves rock it back and forth under the warm, early morning sun. You will leave the noises of the city far behind, and on your special fishing day, it’ll just be you, the water and the fish. Perfection. Or maybe it’s your first fishing trip with the family. You have fished all your life and want to make this an unforgettable experience as you pass along the tradition to your kids. Fish Lake, Oregon is the perfect place to bring the children for the fishing trip of a lifetime. Located at the foot of Mt. McLoughlin in the Southern Oregon Cascades, the resort has 11 cabins, 45 full hook-up RV sites, as well as a cafe, store and game room at the lodge. And if fishing isn’t everyone’s favorite activity, there are also great mountain biking and hiking trails. Summer is prime time for Oregon fishing. The kids are home from school, the sun is shining and the water is brimming with fish. There are many places you can fish, but Southern Oregon’s lakes and rivers are unmatched. Cool, crisp, a stunningly bright blue and surrounded by wondrous scenery on all sides, it’s a fishing trip like you’ve never experienced before. If you’re already a seasoned visitor, bring a friend! 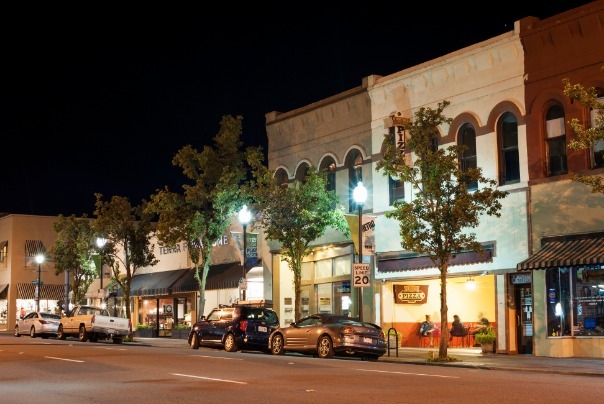 And when you are ready to return from the rural rivers and lakes, Medford is an urban hub with restaurants, breweries, wineries and a soft bed to rest your head on after a day of fishing. 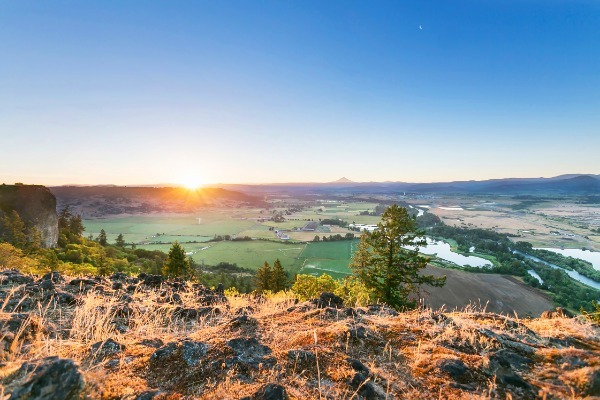 From the moment you arrive to when you pack up your gear and head home, Medford knows how to take care of all its visitors, especially those who love to fish.